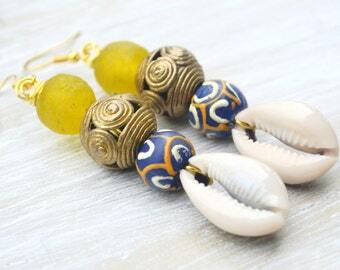 Made with yellow recycled glass handmade beads, large round brass beads, hand painted kobo beads and real cowrie Shells. 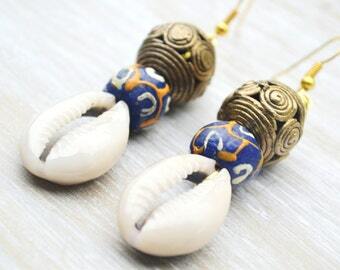 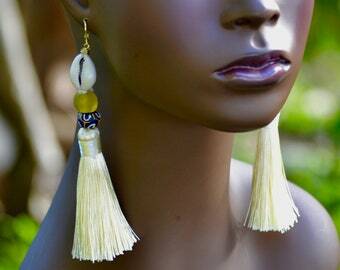 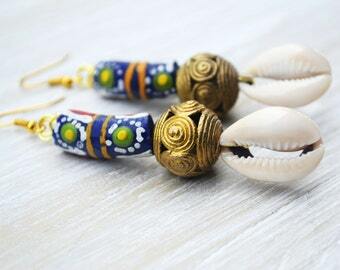 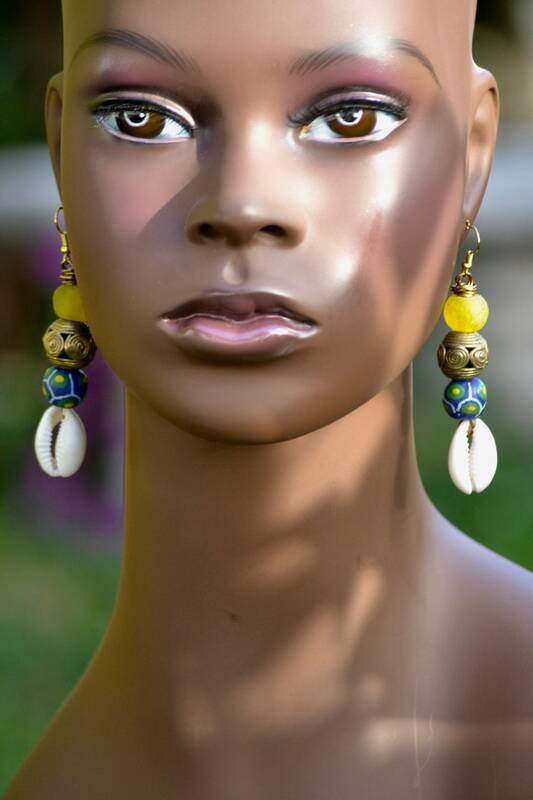 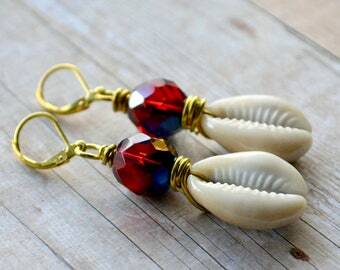 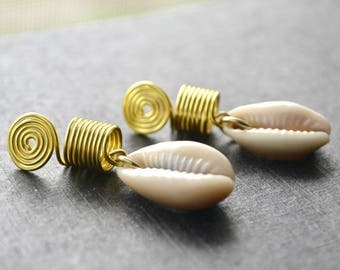 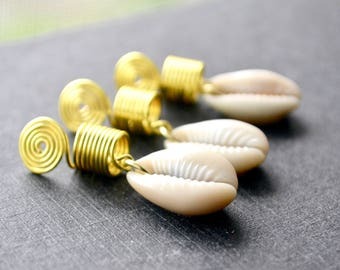 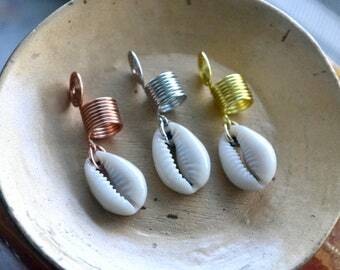 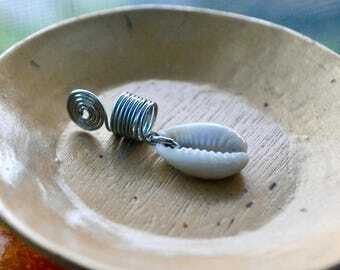 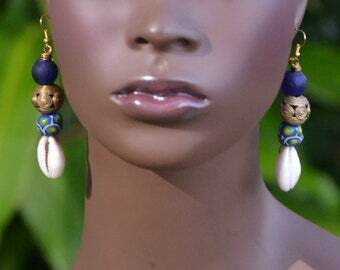 The beads on these lovely cowrie shell earrings are made by the Krobo people in Ghana. 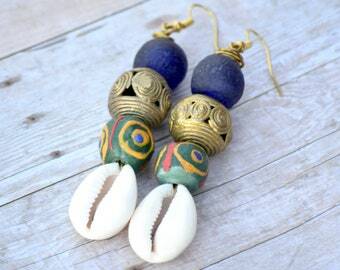 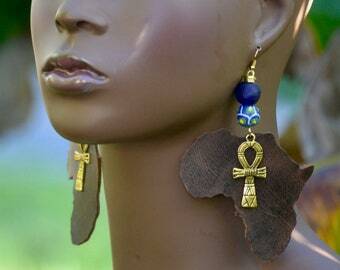 The brass metal beads are also handcrafted in Ghana, Africa made with the lost-wax casting method.